During last year’s Game Awards, Bethesda released a clip starring Wonder Woman herself, Lynda Carter. In the video, Carter helps deliver the publisher’s message that Player 1 must be saved. #SavePlayer1 instantly became a highlight of the show. With Wolfenstein: The New Colossus and Prey having launched a few months prior, all were certain that single player titles were in good hands with Bethesda. Fast-forward six months to E3 2018 and, for some reason, concerns begin developing. The single-player Prey receives a multiplayer-focused mode. 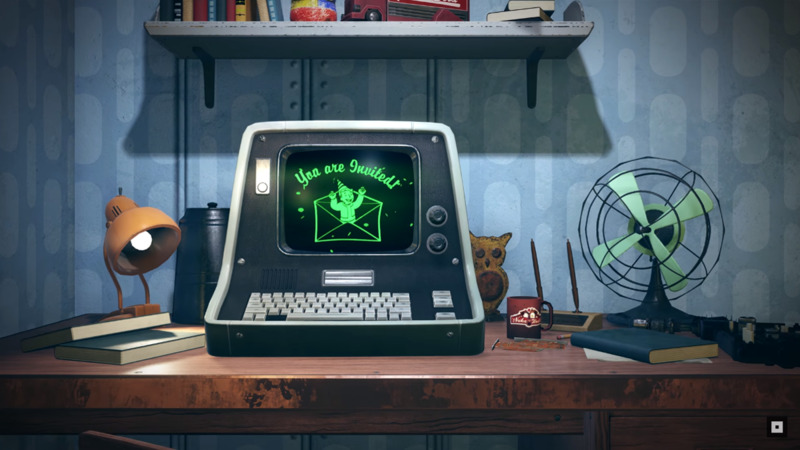 Fallout 76 is officially revealed and is always-online. To Bethesda, these additions to single-player franchises are merely additions. They provide a new step forward, rather than the step backwards that some seem to fear. Pete Hines, the publisher’s PR boss, and Todd Howard, Fallout 76’s game director, assuage these concerns in a recent interview. Talking to The Guardian, Hines reaffirms that Bethesda’s future still has room for single-player adventures. Well, we keep doing it. There was a lot of hand-wringing around [2017’s] Prey, but we just announced a huge update. Rage 2 is a giant single-player game, Doom Eternal is single-player, and Wolfenstein: Young Blood is single-player. Single-player is still a thing; it might continue to grow or evolve, but it’s part of who we are, and we still think there’s room to be successful. That doesn’t mean that we should keep doing things the way we did five or 10 years ago – we’ve got to continue to change how we approach it. Games have gotten so big and interesting that they’ve moved beyond the toy/entertainment space. It’s not just a diversion from their regular lives; for a lot of people it becomes an important part of their lives. I think we see that across a lot of games now, where people are getting joy and personal pride out of the time they spend in them … I always felt that way. I can still remember sitting in my bedroom playing Ultima, really being transported, even though they were just little 16-pixel-high guys on the screen. That’s what I want our games to do: to transport people for the time they’re in it. Fans can determine for themselves whether Fallout 76 achieves this come November 14.